It is no wonder that global hot tub dealers like Alps Spas have been able to attract such a substantial client base throughout the United States and Europe. Relaxing in a hot tub can be very therapeutic, and spending some time in warm, bubbling water has a very broad appeal throughout the world. People that live close enough to the Atlanta Alps Spas locations can buy direct, and even people located elsewhere may be able to find the right authorized dealer. Alps Spas makes things convenient for its customers. Alps Spas gives customers the opportunity to get custom ordered hot tubs. Being able to get custom ordered hot tubs can make all the difference for many customers. Customers will vary substantially in what they want from their hot tubs. People will often need to choose hot tubs that work with the architecture and aesthetics of their bathrooms, for one thing. While some people can be flexible in that regard, some people will have specific requirements and limitations. Two-person hot tubs are among the most popular out there. Alps Spas offers its customers a wide range of possible hot tub sizes. Other people will have the room for swim spas. Swim spas are especially great for people that have entire rooms set aside for their hot tubs, or people that have outdoor swimming areas and want to add hot tubs. Swim spas are versatile and come across as especially luxurious, even among luxury items like hot tubs. Multiple people can use swim spas at once, as well, which gives customers more options. Alps Spas hot tubs are also fantastic in terms of aesthetics. Plenty of people will choose one hot tub over another for aesthetic reasons. Aesthetics are especially important for luxury items like hot tubs. The hot tub needs to fit with the rest of a household’s interior or exterior design, which may ultimately be largely based on the hot tub’s coloration. Alps spas offers plenty of available hot tubs that are white or very light gray, which can give them a pure and sterile appearance. Other hot tubs may be blue or dark gray, which can make them seem more oceanic and can give a hot tub an extra appeal. Hot tubs that have a more patterned appearance are also available, and these can give the hot tub and its setting a unique look. Customers won’t have to compromise on anything when they get their hot tubs from Alps Spas, and that includes the color of the hot tub. 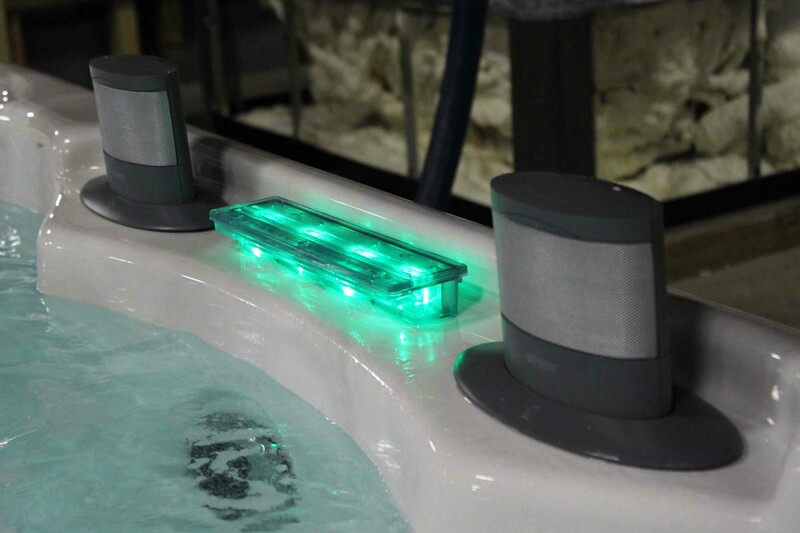 Alps spas water tests their hot tubs as a way of making sure that their clients receive products that are both safe and stylish. Customers will be able to get everything that they want and need from their hot tubs.